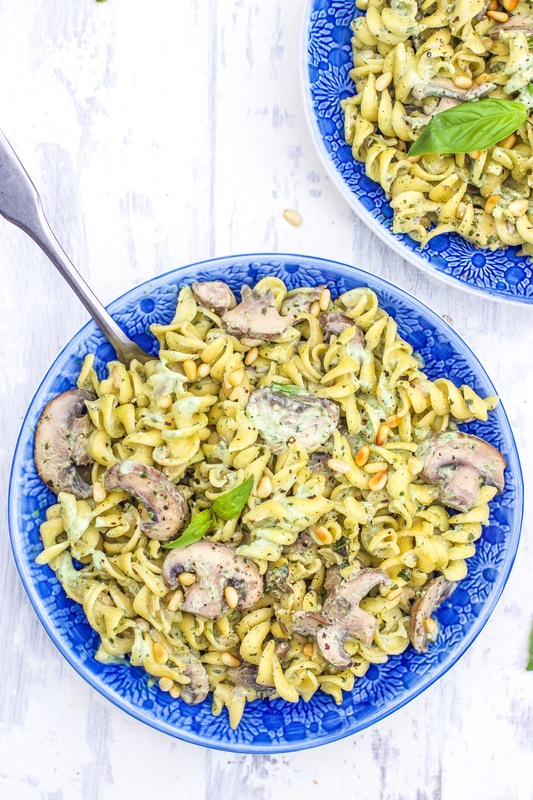 This creamy mushroom basil pasta is my new favourite speedy supper. Once you know how to make it, the whole thing is ready in the time it takes the pasta to boil. It’s so creamy and comforting, I’ve been making it all the time lately. 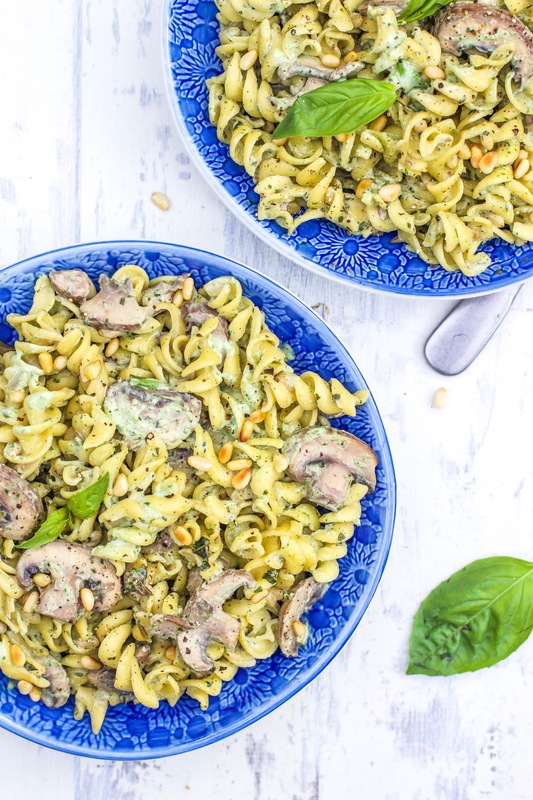 I use lentil or chickpea pasta which seems to be popping up in all my local supermarkets so definitely keep an eye out for them, they’re amazing. Add the pasta to a pot of boiling water and cook it as it says on the packet. Slice the mushrooms and mince the garlic. Heat the olive oil in a large pan and add them in along with the pine nuts. Cook for a few minutes, stirring often, until the mushrooms are cooked and the pine nuts are golden. While the mushrooms are cooking, add the coconut yoghurt, basil and a good pinch of sea salt to your blender. Blend until smooth. Drain the pasta. Add the creamy basil sauce to the pan with the mushrooms and take it off the heat. Stir it well and then toss in the pasta. Serve hot with salt and pepper. Is there an alternative to coconut yoghurt I could use? Where do u get the dairy free coconut yogurt? Hey , is there any alternative to pine nuts? My man is allergic to them! Looks so good though ???? Thanks! Just had this recipe it was gorgeous nearly had the whole lot.